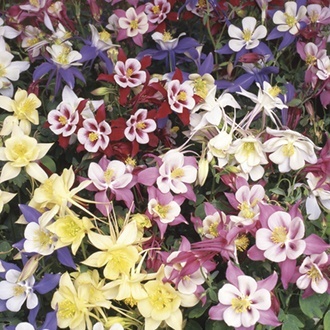 This wonderful mix of columbines will reward you with bags of colour in spring and early summer. The plants are neat and compact and are great for adding to cottage garden style borders and are best planted in groups of five for mass impact. Plant in sun or part shade in well-drained soil. Our Garden Ready range offers superb value for money. Our fully hardy perennials are grown to order and ideal if you have no space to grow on younger plants and just want them delivered ready for immediate planting into their final positions. These extra-large plug plants will quickly establish ready for over-wintering and then provide abundant blooms from early summer next year.